Persian Generals & Leaders There are 2 products. 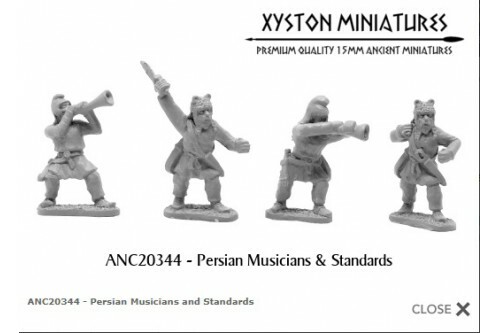 Persian Musicians and Standards Contents: Random mix of 8 models (4 Standard bearers and 4 Musicians) from 4 different designs (includes shields). Persian Officers. 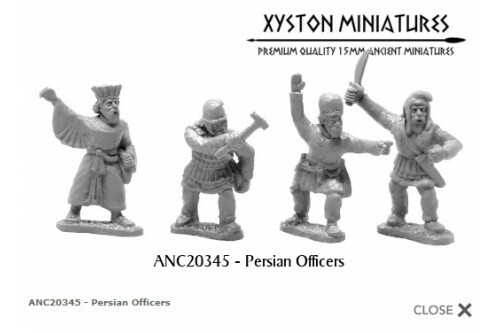 Contents: Random mix of 8 Persian Officers from 4 different designs.